Why I Started SAVORx Spice & Flavor Co. I guess you could call me a Spiceologist. 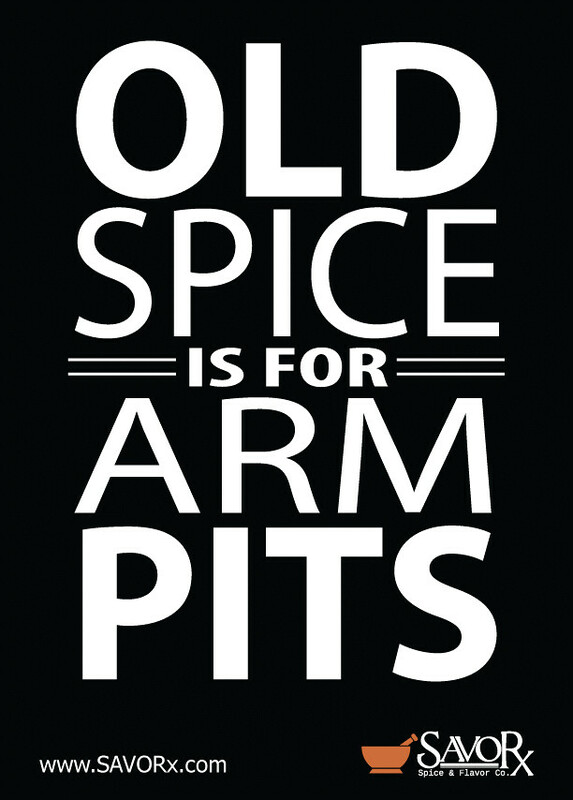 I understand spice. I know how to extract the most amount of flavor out of spices. Spices are very delicate. They have essential oils in them that contain all that crazy-good flavor and aroma that we love. Those essential oils are super volatile, which means that the oils can vaporize when they are exposed to light and heat. Once those essential oils are exposed, your spices start to become less flavorful. As time goes by, more and more flavor & aroma will be lost, and finally you will be left with dust in a jar. 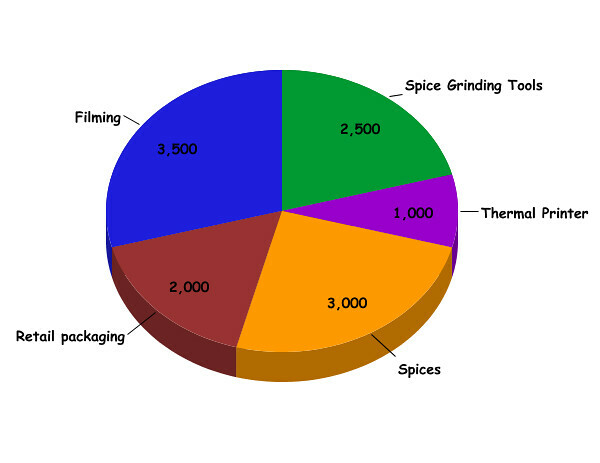 Here’s another spice fact: Spices start to lose their flavor soon after they are ground. Sounds a lot like coffee beans, heh? That’s why coffee tastes so much better when you grind the beans right before you brew. That’s why coffee is packaged in non-translucent packaging, so the light won’t ruin the beans. People should treat spices the same way they treat coffee! Have you ever heard of someone buying enough coffee to last at least a couple years? No, people buy enough coffee to last them a couple weeks, so it stays flavorful. People should buy spices the same way they buy coffee. If we all know that light & spice don’t mix, then why do other spice companies sell their spices in clear containers? If we know spices start to lose their flavor and aroma the moment after they're ground, then why are we buying all of our spices pre-ground? The big ole' spice companies have hoodwinked us! Think about it.... They grind the spices, bottle them in clear containers, send them to a warehouse, then to the store shelf before we finally see them. I wonder how long it takes (after grinding), before we are able to purchase them.... Months....Years? No wonder they are so flavorless.... And, why is it so hard to find whole spices at the store? If you DO find whole spices, why are they MORE EXPENSIVE then buying ground spices?! Does this make sense? I knew things had to change. I knew I had to start a movement. I wanted to let people know how much more flavorful their spices could be. 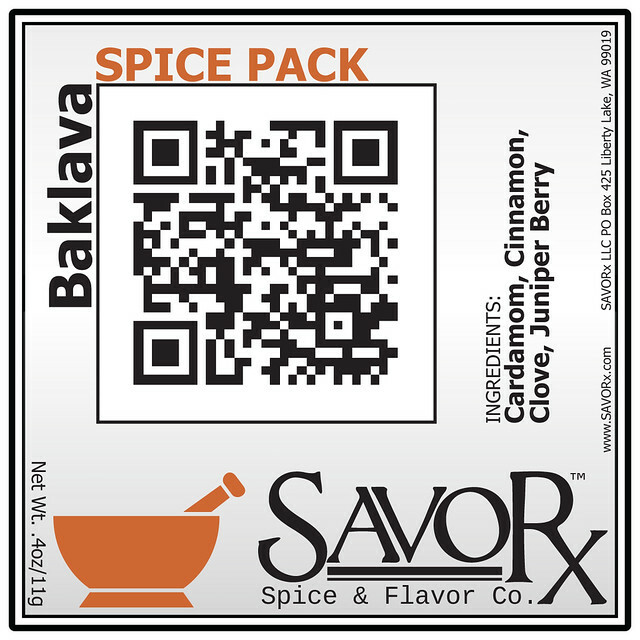 I started SAVORx in an effort to supply foodies with quality spices in their NATURAL format, WHOLE! (We also sell the tools you need to freshly grind them). We are different. We don’t sell dulled-down spices in attractive clear jars, WE provide our customers with AMAZING SPICES, IN NON-TRANSLUCENT PACKAGING! 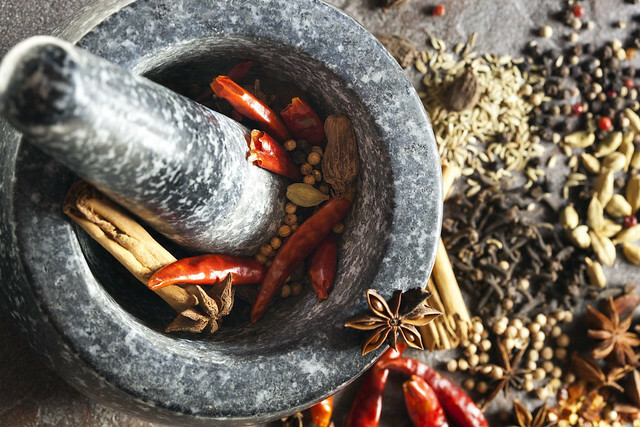 We empower YOU with the spices, and tools you need to experience TRUE FLAVOR. BIG FLAVOR. BOLD FLAVOR, and we’ll show you how to do it! Stay tuned for our "Spiceology 101" video series, where we teach you the best ways to buy, store, grind, and use your spices. Yah, you'll be a Spiceologist before you know it! Not only do we sell whole spices, and the tools you need to grind them, but we create Recipe Spice Packs that contain the perfect amount of spices to make a gourmet meal for 4 people (that way you don't have to go out & buy an entire jar of Green Cardamom, Ceylon Cinnamon Sticks, Whole Cloves, and Juniper Berries just to make Baklava). Our packaging includes a QR Code, which when scanned, supplies you with the shopping list, recipe, and a video of me making the dish. The short 4-6 minute video will go over all of the critical steps of the dish, and provide tips to executing the dish perfectly. Licensing and Legalities… We operate under SAVORx LLC at our FDA approved processing facility in Liberty Lake Washington. We have obtained all of the required certifications, permits, and licenses needed. Labels, mail order packaging, and packaging equipment. Marketing materials (Brochures, cards, etc.). Spiceologist inspired line of Oils, Vinegars, and Marinades…. Yum! Help us make this the most EPIC Kickstarter campaign EVER! If you cannot contribute monetarily, please help us by sharing our project on Facebook and Twitter. *Anyone interested in having their name/business name tattooed on my body, please message me. We can put a great PR plan together. *Sorry, most rewards cannot be shipped internationally (Canada is ok + $10 in shipping). Continental U.S shipping is paid by sender. "Spiceology 101 @ Nectar" Hosted at Nectar Wine Bar on 2/15 from 7-9pm. Learn the Science of Spice! Receive An Exclusive Kickstarter Spice Rub. Private 1 on 1 cooking lesson! We will meet via Skype and explore whatever culinary endeavors your heart desires. Whether it is proper cooking technique, how to make the perfect crème brûlée, or hone in on your knife skills. 1 hour or pledge more than 1 for a longer lesson. Available worldwide! We Will Name A Spice Blend After You! Receive ALL Of Your Spice Packs In Stackable Spice Tins. Keep Your Cupboards Organized! BE A SUPERSTAR! You Will Make Your Signature Dish On SAVORx's Cooking Show! PLUS, I Will Treat You And A Guest To A 7 Course Dinner. Yum! YOU ARE AMAZING! That Is Why I Will Tattoo Your Name (Or Business Name) On My Body (Nothing Vulgar Or Inappropriate). This is a win/win for both of us, the viral aspect of this is HUGE, and the person/company would get some amazing publicity! 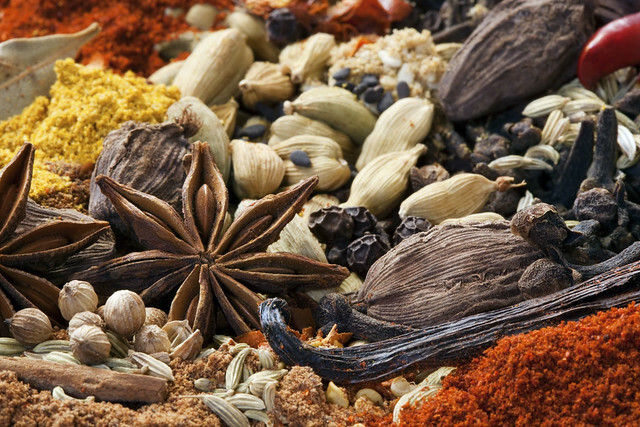 We Will Travel To The Spice Capital Of The World: Exotic India. This Will Pay For Airfare, Hotel, And Other Expenses. You Will Be Part Of An Epic Documentary Of This Foreign Land, We Will Explore, Eat, Source Spices At Their Origin, And Have A Once In A Lifetime Experience. It Will Be Epic!! !